Tanjung Puting National Park is famous for its orangutan rehabilitation and conservation programs. 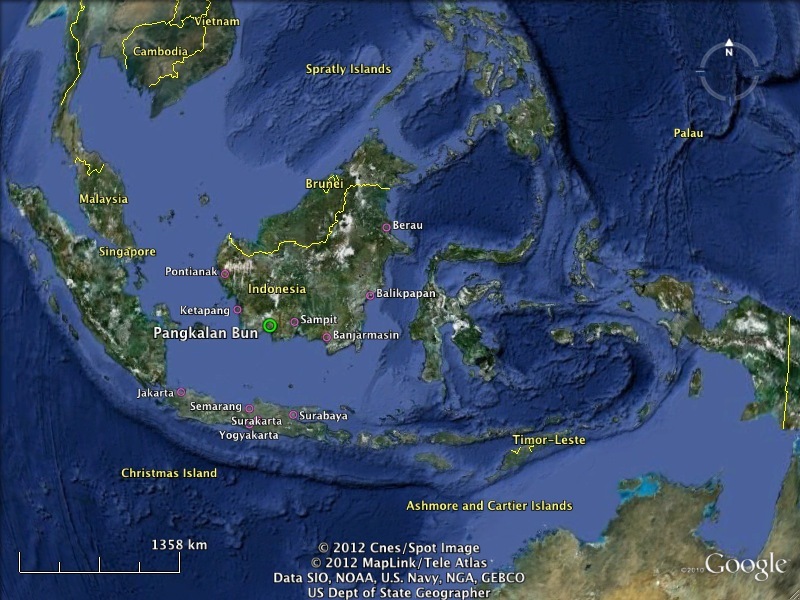 The park is located in Indonesia on the island of Borneo in the Province of Central Kalimantan. A widely use jump off to the park is Kumai, a small port town in Central Kalimantan. The closest Airport to Kumai is Iskandar Airport in Pangkalan Bun (Airport code : PKN). Wings Air, Trigana Air, Garuda and NAM AIR are operate flights to and various city; the closest city in Java including Jakarta, Semarang and Surabaya. Trigana Air is available for regional flight to Banjarmasin, Sampit, Pangkalan Bun, Ketapang, Putussibau, Pontianak, Berau and Balikpapan. Garuda and Wings Air just served route Pangkalan Bun, Ketapang and Java. Mas Wings is the other flight served route from Pontianak to Kuching (Malaysia). Kumai is about 13 km from Iskandar Airport. Pelayaran Nasional Indonesia (PELNI) is the national shipping company of Indonesia. They operate various routes, and hae access to Kumai from Semarang and Surabaya directly. You will need their homepage for actual information, sometimes they are on biweekly schedule. As an alternative to PELNI, there is also private shipping company PT. Darma Lautan Utama (PT.DLU) that serve route from Kumai – Surabaya – Semarang (PP).